The month of April gets us thinking about outdoor activities and spring. This is also the month that your Alumni board recognizes the individuals who help get the Husky sent out to those who are members. We will be having our volunteer appreciation gathering at the Winterset Library this year and Nancy Trask will be speaking to us about George Stout, the Monuments Man from Winterset. This American Hero was involved is saving countless paintings and other artifacts that were in Germany after WWII. Nancy has spoken to numerous groups about George’s life and experiences and I for one am looking forward to learning more about this special person. By the way, George is a graduate of WHS and I am sure that there are many more alumni from WHS who have contributed something special to our country and other individuals. If you know of such a person, let the Alumni Association know and we will make an attempt to recognize them either in my blog or in the Husky. Many classes are planning reunions this summer or fall and I hope that your time spent in Winterset will be rewarding and gratifying. There are numerous activities planned for Winterset this summer and perhaps your class reunion might be held during one of these events. 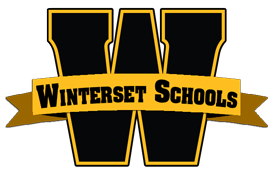 Winterset was a special place for many alumni so be sure to reminisce at your reunion with classmates about those memories.